Join us for nine holes of golf and dinner in the Bayview Pub & Grill on Friday nights! We have a weekly game to participate in and lots of fun to be had. Our food is fast becoming known in town as “awesome”! So if you’d like to have some FUN on the golf course and good food after, give us a call to sign up. 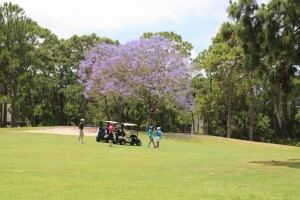 Nine holes of golf is $10 for members and $20.00 for non-members. Dinner in the Bayview Pub & Grill follows the golf and you can pick from a number of modestly priced meals. Please email David Hunter, Golf Shop Manager, to make your reservation for golf and dinner. You can sign up as a single, with your spouse or friend. Pat and Bill Shriver will be participating in this event and look forward to playing with everyone. Pairings will be made by the Golf Shop. Just let us know that you are coming and we will take care of the rest. Email David in the Golf Shop to get more information: david.hunter@covecaygolf.com.